I #amwriting. Contrary to what I thought I’d be #writing after #selfpublishing #EllentheHarpist, I’m barely getting enough time in on book #2 (the number sign, not the hashtag). I thought I would feel #sad upon reflecting how little of the new #novel I’ve written, but in this age of #hashtags (how meta), I read #amwriting at the end of so many other authors’ tweets about word counts, now I feel #guilty. But I #amwriting. Being an #indiewriter, I am my own marketing team. I keep up with social media, organize book events, seek reviews, and maintain my website. But the more I learn about #selfpublishing, the more I learn what I don’t know about #selfpublishing. They say an author doesn’t attain success until the release of a second book, but I’ve discovered there is much more to write on the road to #selfpublishing book #2. I #amwriting daily. Just not what I thought I’d be writing. In addition to typing the occasional word or two of my next manuscript, I finished writing a #freeebook last week (I hope all of my subscribers have had a chance to follow the link to read it). Now I’m working on a longer #freeebook (more about that in the coming months!). And of course, I #amblogging. And I #amgigging and #teaching. Phew! That doesn’t leave time for #ampracticing. I don’t have a target date for when I’ll be #selfpublishing book #2, but I promise it will come out one of these days months years. 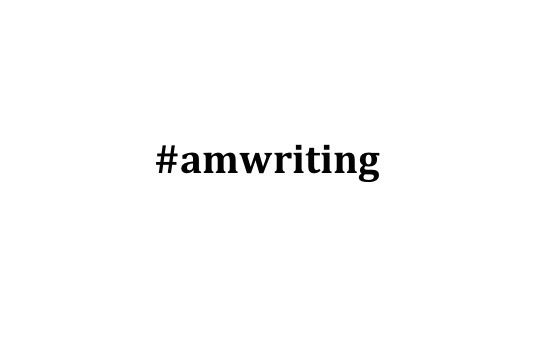 Stick with me while I blog, and I’ll keep sharing updates about what I #amwriting. Maybe not the word counts. But I #amwriting.